Was Your Home Damaged During this Record-Breaking Winter? The record-breaking winter that Massachusetts has experienced certainly took its toll on a number of homes. Due to the heavy amounts of snow that the area received, many homes were damaged. Storm after storm barraged the Bay State, causing snow and ice to pile up on roofs, leading to collapses and ice dams. Ice dams in turn cause water damage, which in turn, can cause mold damage as well. Left untreated, all forms of damage can cause homeowners hundreds and in some cases, thousands of dollars in repair. Damaged homes obviously also decrease the value of one’s home, which is especially important for those looking to sell in the near future. This past winter has been a severe burden on a number of local businesses as well. Structural, water, and mold damage can be particularly costly for business owners who may have to temporarily close down their businesses due to damage. 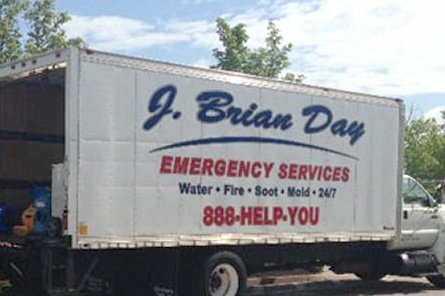 If your home or business has experienced structural, water, or mold damage during this winter, J. Brian Day can help. We offer emergency cleanup and restoration services that will help you resume your normal life as soon as possible. At J. Brian Day, we understand that time is of the essence, which is why we are dedicated to providing quick and efficient mitigation services. For more information on our structural, water, or mold damage services, please contact us today!